Home / Blog / Car Accident / If You Have Been Hurt In An Car Accident, You Need a Lawyer With Experience! Every time a driver gets behind the wheel of a motor vehicle, he or she is accepting responsibility for the safety of all others on the road. Car accidents can and do happen. According to the latest statistics from Ohio Department of Public Safety , in 2013 there were 990 people killed in Ohio car accidents, and over 100,051 people were injured. When a driver’s negligent behavior or careless actions lead to serious injury or death of another person, the negligent driver must be held accountable. Since 1973, the auto accident attorneys at Lafferty, Gallagher & Scott, LLC have exclusively helped people who have been seriously injured in accidents seek justice and the compensation they deserve. If you or a family member have suffered a serious or life-altering injury that required hospitalization and/or extensive rehabilitation, or if you have lost a loved one as the result of another driver’s mistakes call us at 419-241-5500 for a free consultation to discuss your potential case with an Ohio car accident lawyer. 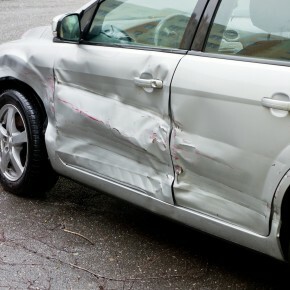 Such motor vehicle accidents include those involving drunk or hit and run drivers, uninsured or underinsured drivers, as well as accidents occurring from motor vehicle, SUV and semi-tractor collisions and rollovers. The Ohio accident lawyers of Lafferty, Gallagher & Scott, LLC have successfully handled nearly every type of motor vehicle negligence case and recovered millions of dollars in Ohio accident verdicts and settlements for victims and their families. During your free initial consultation, our experienced Ohio car accident attorneys will discuss your situation and go over the options available to you, as well as work with insurance companies and other parties to make sure all your needs are handled quickly and appropriately. If you or a loved one has been seriously injured in a motor vehicle accident, contact us at 419-241-5500 or email us. We will help get the restitution you deserve. As an Ohio automobile accident victim, you are entitled to be compensated for your economic loss due to the accident, which includes your medical bills, lost time from work, and damage to your automobile and property, as well as any other loss that has cost you money, such as funeral and burial expenses in the case of death due to the automobile accident. You are also entitled to be compensated for your non-economic loss, which includes your pain and suffering, mental anguish, and loss of enjoyment of life. In addition, if you have been severely injured (i.e. loss of limb, paralysis, serious disfigurement, etc.) your spouse and children may be entitled to compensation for your injuries if they have suffered a loss of your services, companionship, love, affection, guidance, etc. Don’t wait any longer. We have helped thousands of Ohio injury victims and we will help you! 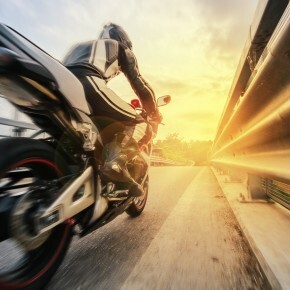 HAVE YOU BEEN INJURED WHILE OPERATING OR RIDING ON A MOTORCYCLE?